Deliveries are set to begin in January 2015. The revived Indian Motorcycles recently opened bookings for its most affordable offering, the 2015 Indian Scout, in India through its only dealership in Gurgaon. The cruiser was showcased for the first time in the country at the recently concluded Bike Festival of India. 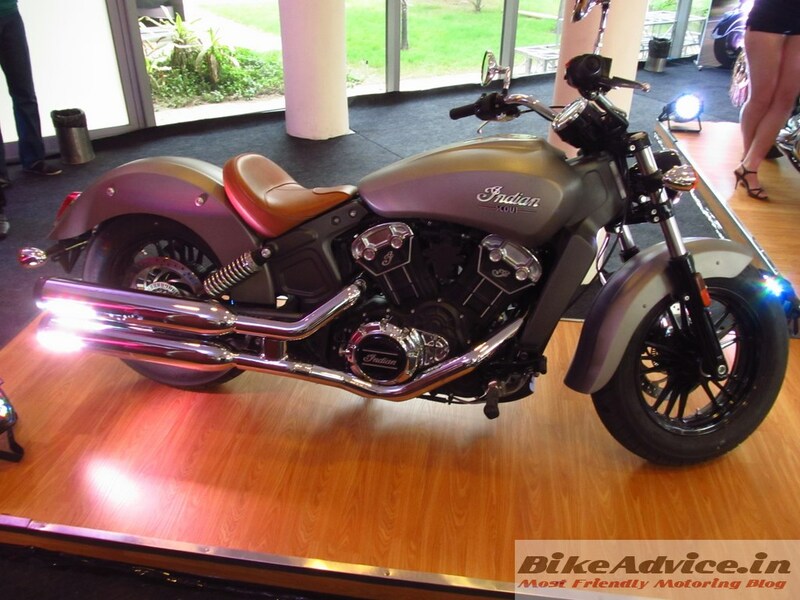 The 2015 Indian Scout is the most affordable product in the lineup. The latest iteration of the legendary nameplate is priced at INR 11.99 lakhs (ex-showroom Delhi). Media reports suggest the deliveries in the country will commence in January 2015. The classic cruiser adopts a traditional design which is characterized by a small headlamp, slender fuel tank, a single leather saddle, twin chrome silencers, black wheels and a chrome accented cylinder head and crank case. The deliveries in India are set to commence in January 2015. The Scout is powered by a 1,131 cc V-Twin liquid-cooled engine which is capable of 100 hp and 97.7 Nm of torque. The tastefully detailed powerplant is mated to a 6-speed gearbox. The motorcycle is 2,311 mm long, 880 mm wide and 1,207 mm tall and has a wheelbase of 1,562 mm. The dry weight stands at 253 kg. 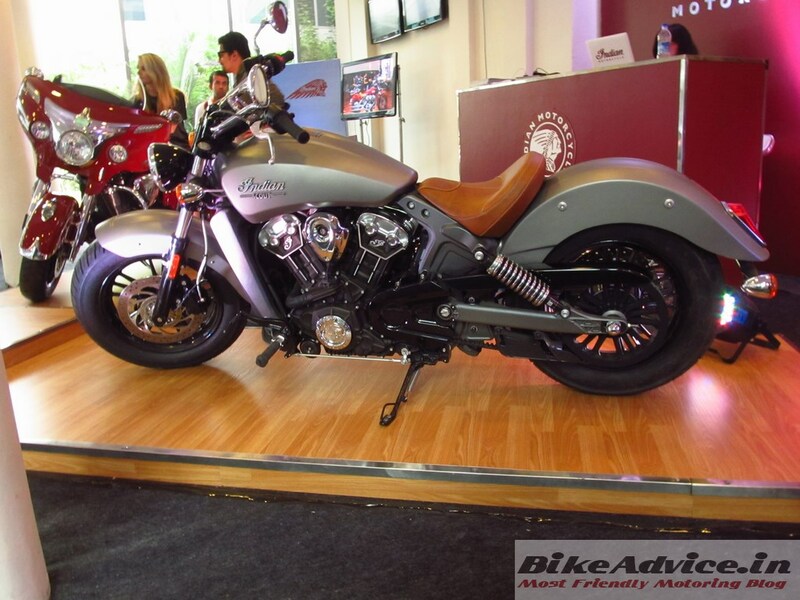 The 2015 Indian Scout is available in four color options – Red, Thunder Black, Thunder Black Smoke and Silver Smoke.